Depo Provera and Conceiving – How Long Do I Have to Wait? The Depo Provera shot is one of the birth control options for women who don’t want to conceive. The shot delivers progestin via injection. The progestin inhibits ovulation and prevents the uterine lining from thickening in preparation for egg implantation. It is a pretty neat trick and one that is more than 99-percent effective at preventing pregnancy. Depo Provera is one of the few birth control options that is safe and effective for women with certain health conditions or lifestyle choices (smoking) that increase the risk of complications from using traditional birth control. When you’re ready to stop taking Depo and start trying to conceive, you may not get the results you want right away. How Long Does Depo Stay in the Body? The effects of your Depo shot can last for more than six months, which means you could have problems conceiving for just as long. There are even estimates that Depo has some effect on ovulation, menstruation and chances of conception for more than two years following the last injection. You may start having a normal menstrual cycle again almost immediately, but that doesn’t mean eggs are maturing and being released – ovulation may not be happening at the same time menstruation is happening. Should I Just Wait to Try? This is a question you should honestly ask your physician. Progestin is one of the hormones released in higher concentrations during pregnancy. The hormone is not going to affect the pregnancy, per se, but conceiving may be impossible for quite some time. The choice about when to start trying is completely up to you, but be prepared for some trouble conceiving if you start trying immediately. 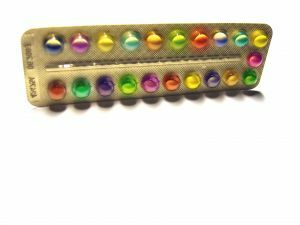 Some couples choose to simply stop using birth control all together; accepting the pregnancy as it happens. Previous: I Have Depression: Will I Have Baby Blues Too? Next: How Much hCG Should I Have During Pregnancy?